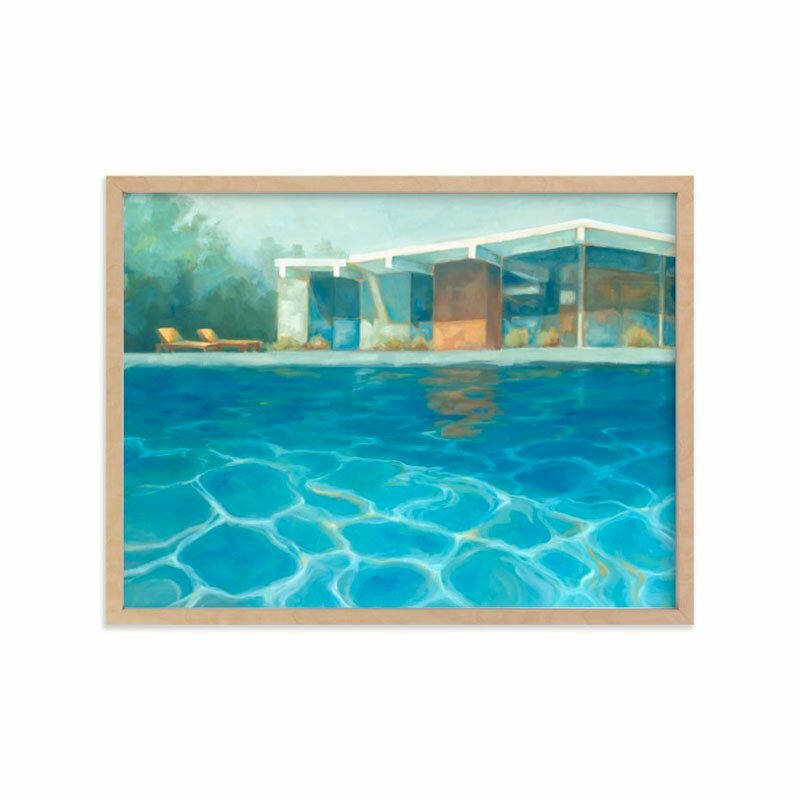 "Eichler Summer is a portrait of my beloved mid-century modern home, which I draw most of my inspiration from," says the artist. "My work is inspired by the classic California dream and timelessness of modern design from the mid 20th century. I focus on luminous color interactions, and iconic shapes that give glimpses of the idyllic California lifestyle."